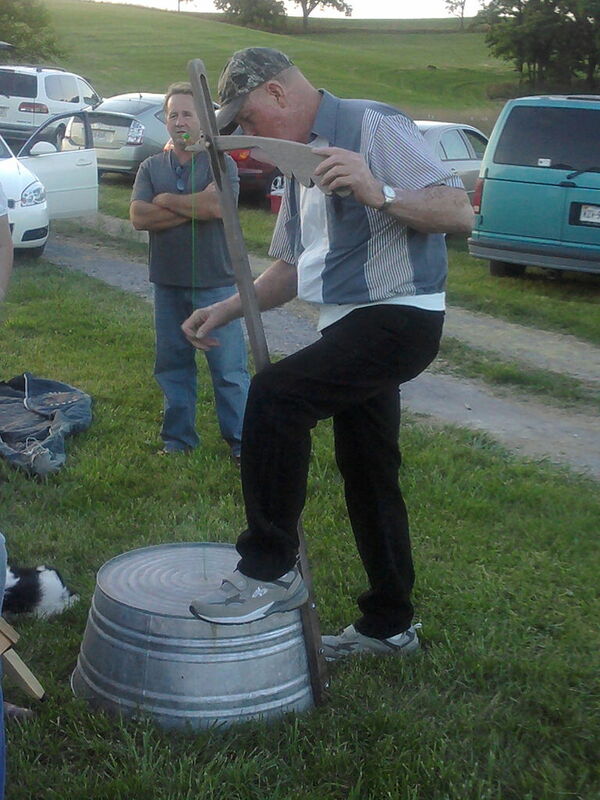 If you are a music lover, you must know how unique sound a washtub bass produces. Also known as gutbucket, it is a stringed instrument that has been particularly used in the American folk songs. A washtub bass may have four or more strings. But the traditional washtub bass carries only one string. If someone wants to adjust the pitch of the string, he/she can do several variations by either pushing or pulling. The washtub bass now comes in various shapes and designs. But the basic rule is still same. You are just required to link a pole and washtub through a string. First of all, create a hole right in the middle of the washtub. A galvanised steep washtub can easily be obtained from the local hardware stores. When drilling a hole, make sure it is wide enough for the eye screw to fit through. The second step is drilling a hole in the pole. The size of the hole should be large enough for the quarter inch bolt to pass through. It is the time to screw the bolt into the hole on the pole. Make sure the bolt passes all the way through the pole, and it is equally visible on each side. It is the time to do the same with the washtub. After inserting bolt, screw the nut. The washers and eye screw should also be attached properly. The screw should completely fit into the washer. For the best result, make sure the eye opening is about one inch in size. Now cut a 10’ length of the rope. Make sure the rope is at least quarter inch thick. You need to tie one end of the rope onto the eye of eye screw that you earlier attached to the washtub. Wrap the second end of the rope all around the bolt passing through the pole. Once you are satisfied with its look, tie the screws. Your washtub bass is ready now. When playing, place one foot on the washtub, so that it does not move around.